Keep up-to-date with everything Beasts of Balance by signing up to our newsletter! More Beasts! Legendary Beasts! Battle Cards + more! For everyone looking to complete their collection, there's a whole range of new add-ons to expand your Beasts of Balance gameplay! Ready to battle?! Check out how to play Battles Mode, including how to use Battle Cards. Looking to complete your collection? There's an arkload of Beasts to add to your Bestiary! Start stacking even more amazing towers today by checking out all our fabulous expansion packs! Our friends Dan & Phil played Beasts of Balance and had a Space Whale of a time. Check out the full video! We've released Challenges! If you record and post a video of yourself completing our challenge – you could win a limited-edition Beasts of Balance Challenge Pin! Check out our team's attempt at the current challenge... we can't wait to see yours! 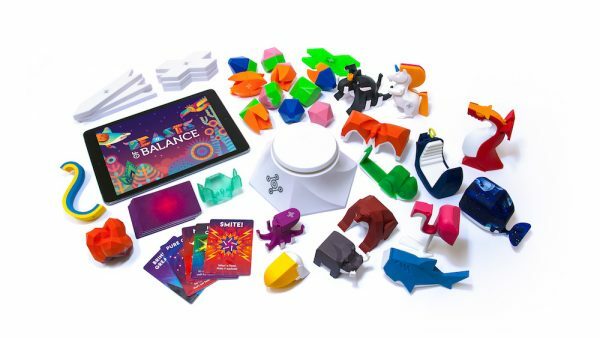 Beasts of Balance: First look at AR Mode! Sensible Object at Gen Con 2018! Win a free Challenge pin by posting your attempt! Complete your collection with more beasts & legendary creatures!